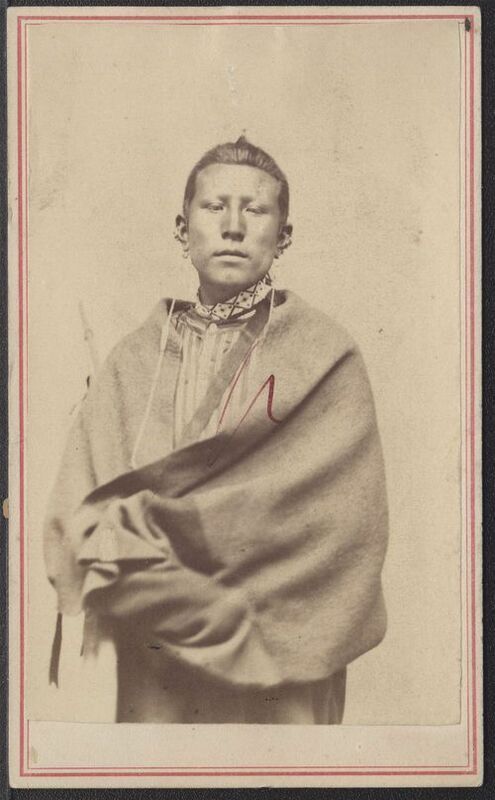 A formal portrait of a young, unidentified, Pawnee man. The Pawnee are a native North American tribe that traditionally lived along the Platte, Loup, and Republican Rivers in the central plains. The name Pawnee comes from the pa'-rik-i word meaning horn, a term that was a tribal mark in which the hair was worn in the shape of a buffalo horn.